The economics blogger Steve Randy Waldman memorably and bitterly articulated the meaning of these grim facts. The long slump has revealed the preferences of the aging polities of the Western world. “Their overwhelming priority is to protect the purchasing power of incumbent creditors. That’s it. That’s everything. All other considerations are secondary” — including economic recovery. programs that would set people to work now and enrich society over the long haul — but that borrowing would have to be serviced by taxes to which older Americans fiercely object. So we don’t do that either. At the same time that the generational fight over values starts to cool off, the generational fight over resources will heat up. 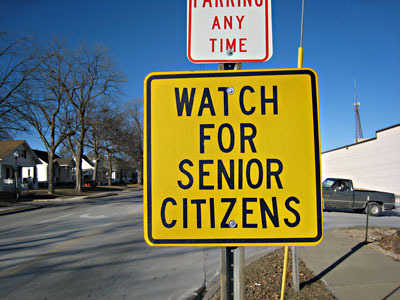 Partly this will be because of the increase in the elderly population. Partly it will be because of slower growth and the increasing stagnation of the working class. And partly it will be because the [Republican and Democratic] parties will be increasingly split by age group. Oh wait — that was me. I think Frum is a little more apocalyptic about this than I am, but generally speaking we’re on the same page. Both the boomers and the generation before them were enormously lucky to have started their careers in the postwar world, roughly from 1950 through 1980. Good jobs were plentiful; retirement benefits — both public and private — increased steadily; and a variety of factors kept middle-class growth high. But the beneficiaries of this good fortune, like all beneficiaries of good fortune, became convinced that they had done well solely through hard work and native talent. If today’s kids aren’t doing as well, it must be because they’re dumber and lazier. But they’re not. They just aren’t as lucky. And the competition between the generations is likely to heat up as time goes by. Welcome to our future.